The French Bulldog looks straight into the camera. 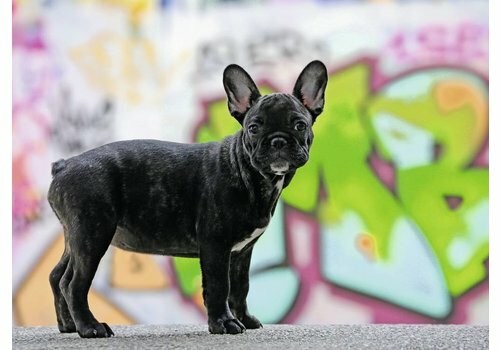 In the rugged surroundings, surrounded by graffiti, this dog is definitely up to it! Nice puzzle to lay for each friend of cute four-footed friends.